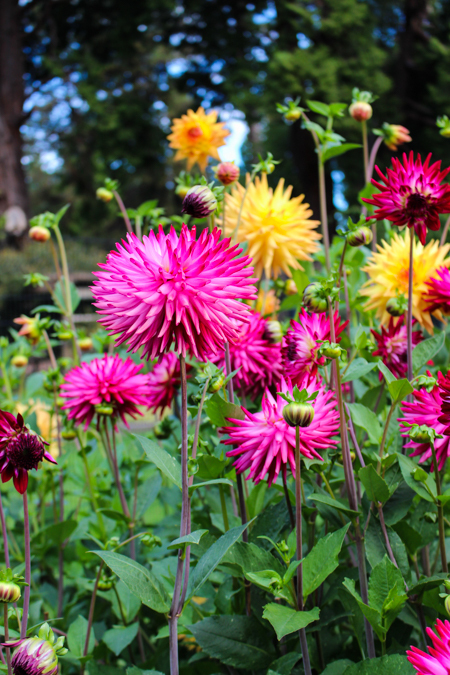 On Sunday we wandered through the dahlia garden at Point Defiance Park. 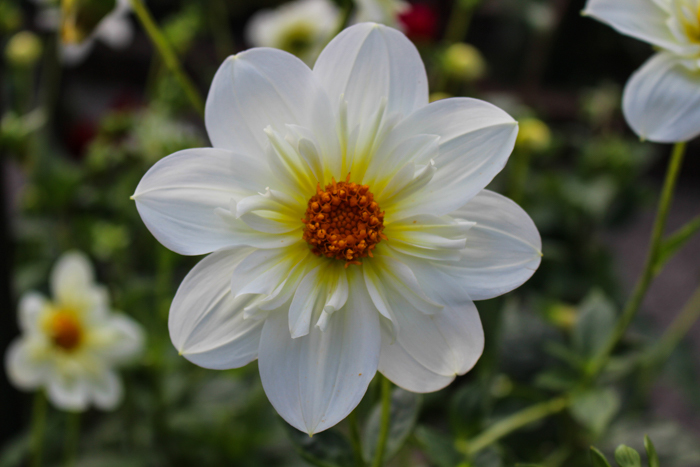 And as I literally couldn't stop myself from talking out loud to the dahlias about their beauty, I was reminded how much getting out into nature, into the wonder, into the truth that I am one small being in this universe grounds me and helps me come back to center. May these photos serve as the beginnings of that reminder to you too. Get outside honey. From sitting on a bench in a park near your home or outside your office to taking a walk to even just sitting on your front step and listening to the birds, get outside. Get outside. Get outside. PS If you want an excuse to get outside and take some photos, the prompts in my In This Moment Field Journal might be an awesome fit for you. It's like a mindful photography ecourse. But it comes to your mailbox instead of getting lost in your inbox.